Oh my god December is here and I haven’t set up my tree yet. Are you in the same boat? I have list of things to do before Christmas. Beside all the work the Christmas blog post series is in top of my list. Today I am introducing Italian Mom who lives in Ireland. 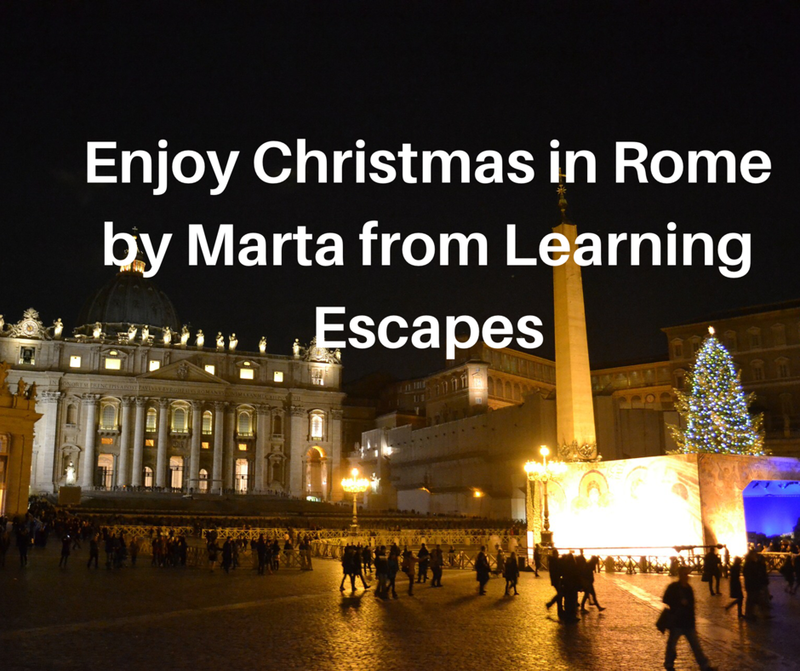 Marta Correale the writer from Learning Escapes a family travel blog. She is sharing her Christmas memories in Rome, Italy. To me, no place is more magical at Christmas than Rome, Italy. At this time, this beautiful city dresses up with lights and decorations. Moreover its ancient and modern buildings shimmer in festive colours. several churches display impressive nativity scenes. The city doesn’t have large Christmas markets, like many others in Europe. You will find many stalls in the city’s piazzas. It will fill the air with sugary smells, cute ornaments and a good bit or tat! The city embraces Christmas with large Christmas trees erected on some of its main squares. 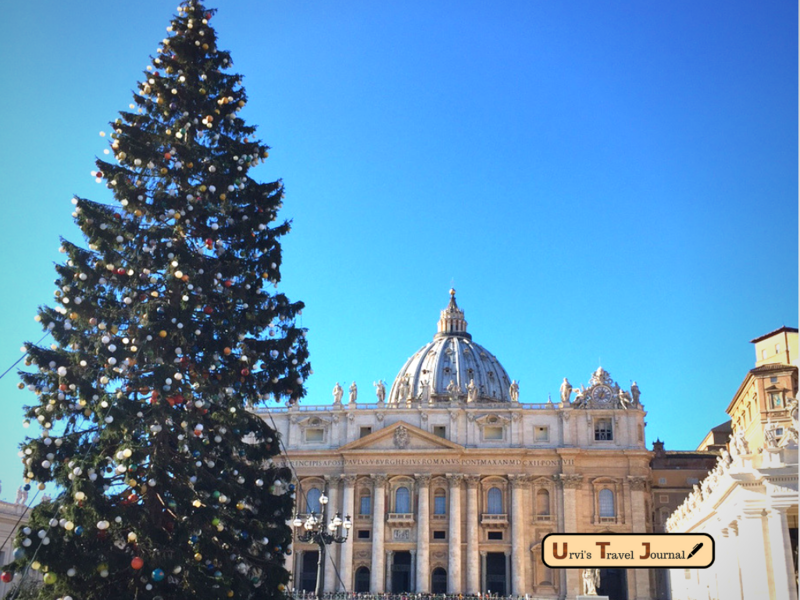 Besides all this trees there is only one tree that is truly magical and worth seeing: the one in St Peter’s square. The tree arrives each year around 8th of December and its size and magnificence matches the one of St Peter’s church, which acts as its backdrop. The tree shades a large nativity scene which changes every year and often has a meaning that goes beyond religion. It tends to incorporate references to social issues of worldwide resonance and this means people from different backgrounds and believes can be touched by its message. The best way to enjoy Rome at this time of the year is to stroll along its roads, peeks into its many churches and enjoy Rome’s cafes to escape the cold. 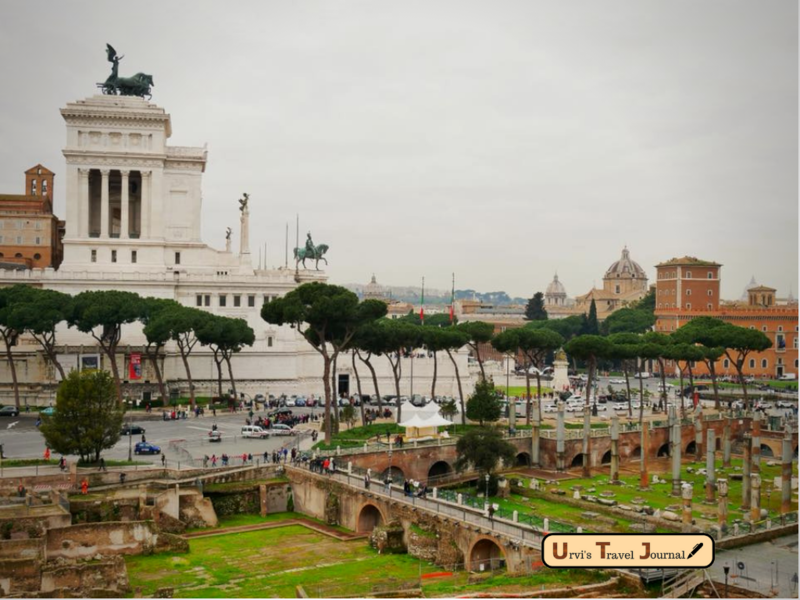 Some spots you should not miss a this time, on top of the Rome most popular must see sites, are via del Corso for is incredible shopping opportunities and the city auditorium, which offers a vast programme of festive concerts and hosts a seasonal ice rink. If you love food, make sure you taste Italy’s most famous Christmas treats, Panettone and Pandoro: get them in any of the local shops and have them for breakfast to feel you are celebrating Christmas like a local!